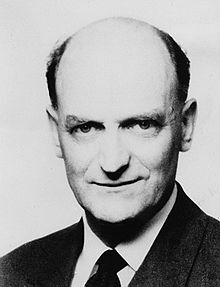 Alban W. H. Phillips was an New Zealand-born economist. Phillips trained initially as an electrical engineer. The legacy of which is apparent in his economic work. He taught at the London School of Economics from 1950 to 1967, being appointed Professor in 1958. In 1967 he joined the Australian National University where he remained until his death. Despite significant work on multiplier-accelerator models, his fame rests mainly on his 1958 paper in Economica. In this, he developed what rapidly became known as the ‘Phillips’ curve.’ This demonstrates the supposed trade-off possible between unemployment and inflation. The meaning, or even existence, of such a relationship has been the subject of much debate ever since.